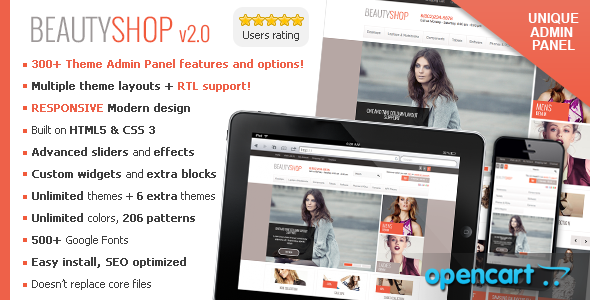 BeautyShop – Premium Responsive OpenCart theme with powerful admin panel, different layouts, RTL support and unlimited colors! 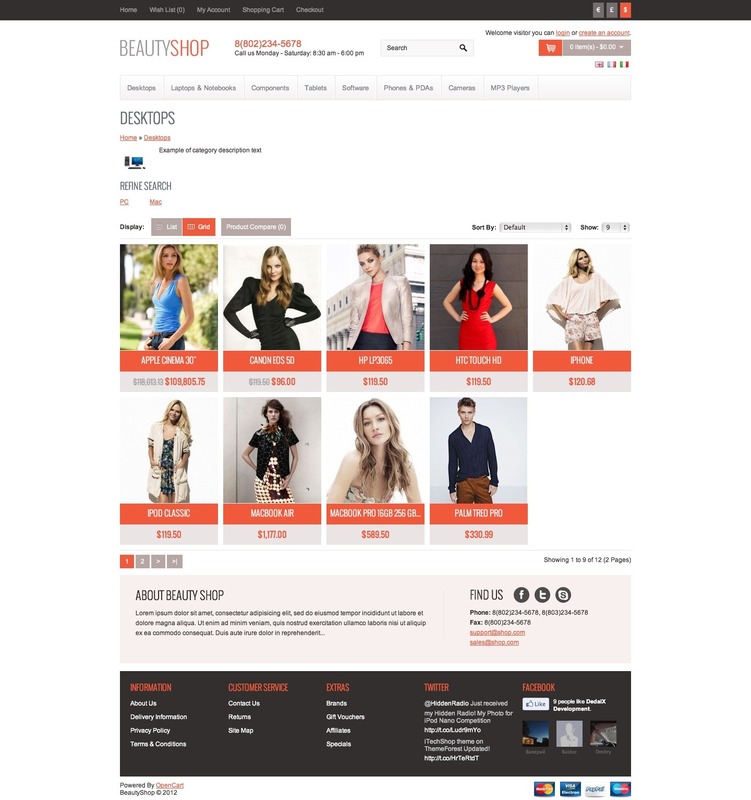 BeautyShop theme also available for Magento here. Unique theme admin panel with 300+ configurable options and features – many features is unique and other ThemeForest items does not have it! Built in 6 extra ready to set color themes! – more coming soon! Several extra build in color themes provided! - added – 165 new cool transparent and colors background patterns! - added – 20 awesome color background patterns! - added – Responsive layout! 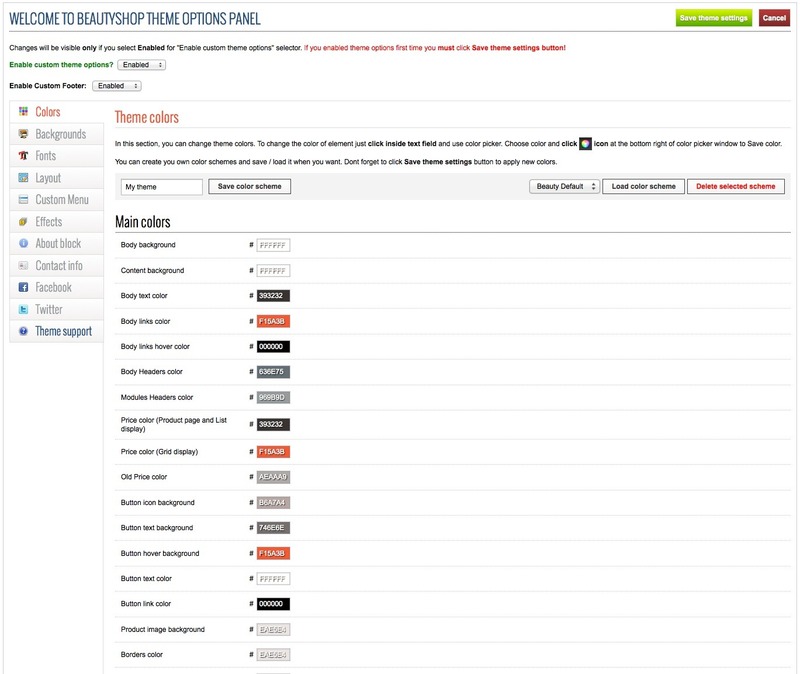 This theme supports OpenCart versions 1.5.4 – 1.5.6.x without modifications of core files (mods, hacks, vqmods), as there are NO modifications in core files. And we make sure it will work with any future OpenCart releases.